Open to students from all departments, this interdisciplinary seminar will construct a cross-section through the complex history of Mexico City, beginning with the Aztec period in the 14th century, and culminating in the global present. The course is at once an attempt to provide a comprehensive understanding of the rich layers of culture that interact to form Mexico City’s history, and an inquiry into the theories and methods of global urban and architectural research, using one of the world’s largest and most dynamic cities as a case study. The seminar’s chronological format will be anchored in several major historical texts that will give students a basic understanding of the city’s palimpsest history – one in which layers of the past shape the social and political spaces of the urban life today. The course will move between developing a chronological course narrative and investigating specific, often contradictory processes and conditions in detail. 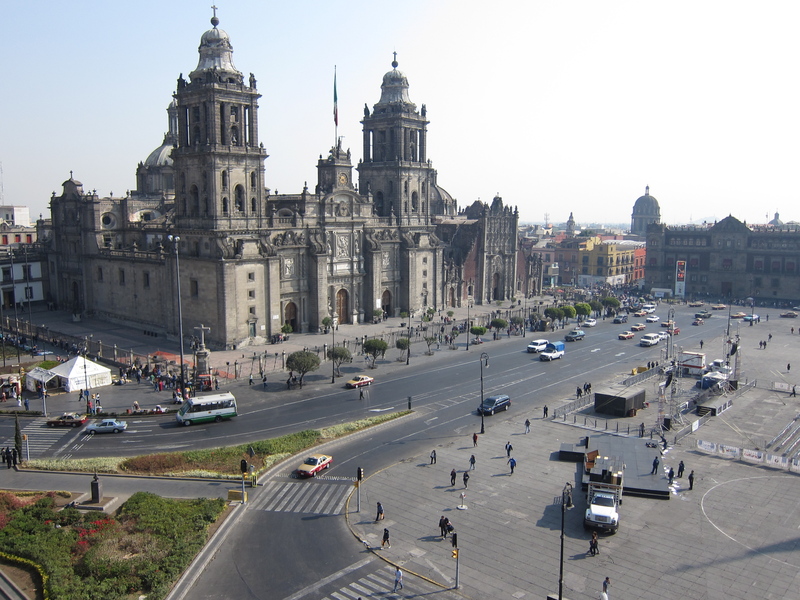 Three major zones within the city’s vast terrain will provide points of focus over the course of the semester: the Zócalo, the main plaza, and historical center of the city, together with the monumental avenue that connects it with the rest of the city, the Paseo de la Reforma; the contiguous inner city neighborhoods of La Roma and Condesa, the first dating from the late 19th century and the second dating from the post revolutionary Mexico in the 20th Century; and peripheral areas in the Southwest of the city, including informal housing, agricultural towns and the urban mega project known as Santa Fe. The three zones provide complex intersections with the city’s history; when examined together in the present, they also begin to disclose the composite condition of urban spaces and processes in Mexico City under global neoliberalism. Course readings, discussions and lectures will juxtapose more general historical accounts with detailed architectural and urban analyses, by drawing on a wide range of disciplinary perspectives, extending from literature, music, film and fine arts to geography, anthropology, urban studies and architecture. One of the central goals of the course is to explore the methodological limits and possibilities of “global urban humanities,” an interdisciplinary framework for critical reflection and creative action that will also underpin the Spring 2016 Mellon Project Studio on Mexico City. Students who are interested in participating in the project studio -- which will involve a field trip to Mexico City and an academic exchange in Berkeley with students from Universidad Autónoma Metropolitana-Cuajimalpa -- are encouraged to enroll in this class as a way to gain background and familiarity with Mexico City. This course will be led by C. Greig Crysler, with class visits by campus faculty in Latin American Studies, and Maria Moreno Carranco (Visiting Scholar and Professor in the Department of Social Sciences, Universidad Autónoma Metropolitana-Cuajimalpa). The course is for 4 units, and is open to all graduate students, and Upper Division undergraduates. Students will be required to submit weekly reading reports, participate actively in class discussions, and complete a 12-15 page research paper and a related in-class presentation on an aspect of Mexico City’s history.